Chinese manufacturer ZTE may set a new record for thinnest smartphone with its newly teased device codenamed Athena. Measuring at a depth of just 6.2mm thick, Athena boasts the slimmest smartphone chassis we've heard of yet. Though the device has yet to see an official announcement, that didn't stop ZTE's end-market strategy director, Lu Qianhao, from leaking early details on Chinese tech site, Sina Weibo. In addition to the phone's size, Qianhao divulged that Athena sports a 720p IPS display, a Cortex-A15 processor, 64GB of storage, and Android's Ice Cream Sandwich OS with ZTE's MiFlavor UI skin on top. The ZTE Athena's 6.2mm form factor beats out Oppo's 6.65mm smartphone which claimed the thinness record when it was leaked last month. 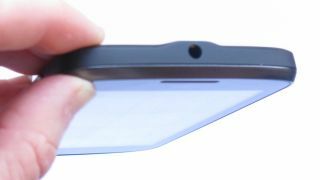 Prior to that, Huawei's Ascend P1 S was the thinnest of them all, measuring in at a still-svelte thickness of 6.68mm. The race to find the thinnest smartphone is heating up, with Chinese manufacturers leading the charge. It still leaves the question of what features might be left behind in with these smartphone diet plans. Hopefully, ZTE will come forward with more information soon so we can find out what, if anything, was left on the cutting room floor to achieve their record setting device.